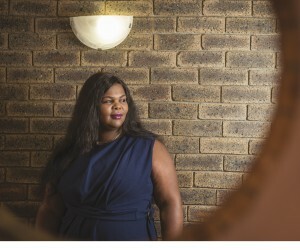 Nomvuyo Ketiso is fast becoming a force to be reckoned with in the mining industry, having worked her way up from being a general worker to now being the Director of a mining company she has shown that anything is possible. Passionate about mining, breaking boundaries and giving back to the community this young woman shies away from no challenge, and believes to become the best that one can be, you must have the courage to go after your dreams. Excited and motivated by productivity and results the future of Dyrex with Ketiso at the helm definitely looks bright. Ketiso’s passion for mining started at a very young age in the small mining village of Malta Coal where she grew up exposed to the mining way of life. Her father was a mineworker and she too worked in the same mine for two years as a general worker operating the conveyor belt underground, before leaving in 2007 to start her first business. It was during another business venture in 2012 that she met the former Director of Dyrex who invited her to join the company and help her grow it. “It was only natural that I return to mining, it was an industry that I was familiar with. I grew up in it, worked in it and I was passionate about it,” shares Ketiso. Starting out as an assistant at Dyrex Ketiso learned quickly and was determined to co-lead the company to success with her former partner. Little did she know that opportunity would come sooner rather than later when she would be named the sole Director of Dyrex in 2016. True to its slogan Dyrex’s road to success is always under construction, from 2012 to present day Dyrex has enjoyed a multitude of successes through carefully planned strategies and a diverse service offering. The company deals mainly with the following underground and surface work; cleaning, sweeping, travelling road maintenance, extensions, levelling, lining, splicing and the sealing of surface boreholes. In the area of sand dust barriers, they specialize in moving, new installation and maintenance. A few years ago, when Dyrex was starting out it in the industry it had no assets, the company now can proudly say that it has managed to accumulate assets to the value of approximately R 1million. Another great achievement has been the increase of their staff complement, the company initially started with only six employees, but the number has since grown to boast a staff complement of over a hundred people of mixed gender, age and cultural background. “We have come a long way as Dyrex, at the time that I joined we were being contracted by Anglo American for our ventilation services, the relationship we had with them was seven years strong, they helped us build a solid foundation which gave us the confidence to go out and look for greater opportunities in 2014. Through that experience we grew so much that Exxaro saw our potential and awarded us a contract, today we are on a 24/7 contract with them. Being awarded that contract was really an honour for us,” Ketiso proudly shares. Pleased with the progress that the company has made thus far Ketiso has plans to expand Dyrex’s reach even further. The business vision she has for the company is one that is purposeful, positive and effective. It is translated through the job opportunities that are created by the company, the programmes and projects that they launch within the community which all serve an area close to her heart, skills development and the upskilling of youth. “I want people to benefit from the existence of Dyrex. The results that we have produced from the skills development we have done up until now have been remarkable and this motivates me to fight to do more,” she says. Another highlight and great learning opportunity for the company has been working with some of the biggest mining houses in South Africa, these being namely Anglo American and Exxaro. Both these have played a huge role in the growth and development of Dyrex, these have enabled them to build a sustainable business. The benefits of this relationship Ketiso highlights are not limited to what she has mentioned but are far reaching. Exxaro has allowed them the opportunity of being a part of their vision and also drive Dyrex’s own vision through the relationship that they have. Not only is Dyrex contributing to the South African economy Exxaro has also given them the opportunity to give back to the community by allowing Ketiso to go back to Matla Coal where it all started for her. Through Exxaro she has been able to empower her community with much-needed economic resources, skills development and dignity. She is really thankful to have formed such a strong and fruitful relationship that they share synergies with that delivering becomes second nature to them. Ketiso likes to couple this first character trait with respect and trust, good leader need to give respect and be trustworthy. One the greatest lessons that she has learnt thus far during her time in business is that unfortunately there are still business people who do not realise the importance of staying true to their word. This kind of character doesn’t assist in building solid relationships within any industry. As a business person to thrive one needs to adopt business integrity Ketiso believes, she goes on to add, “the relationships you build and the quality of service you give to your clients plays a major role to the growth and success of your business.” Keeping good relations in business is good business sense as this could mean greater opportunity for your business, opportunities that could see you establish yourself as a formidable player in the industry where you become the go-to company for the bigger companies therefore allowing you the room to become the vehicle for transformation in your community. As Ketiso speaks about her role and the responsibilities she has it becomes clear that no two days are the same for here. Her world is ever-changing with new challenges every day that she turns into opportunities, opportunities to learn and find new and better ways to do things. She owes her success and ability to cope with the day-to-day running of the business to her core management team that she is so thankful for, “I have a wonderful management team who loves what they are doing, being surrounded by that kind of energy and working with that kind of team is a blessing,” she beams. But it is not only the management team to whom she is grateful, but indeed her employees who’s committment to the company has brought it to where it is today. “Without the employees we would not be this far along in terms of progress and productivity,” she explains. For years mining was believed to be an industry solely for men where they were the ones working the heavy-duty machines, doing the mining and heading up mining projects; women would only be seen in the office doing the administrative work and taking care of the cleaning. Over the years this image has been broken down as we seen more and more women working at the mines not as receptionists, administrative clerks or cleaners but as general workers and handling most jobs that have been historically set aside for men. “Women can do everything a man can do,” says Ketiso boldly. That said mining still remains a pressurized industry where mineworkers have to work under tough conditions where they are still expected to deliver without excuses. Truth be told that men have become so good at delivering under these pressures that it seems to be second nature to them, because men have had a longer time to practice this skill they understand what needs to be when and how. This however should not in any way make women feel second best or feel the need to compete with the men, “it’s not a competition, but it’s about what you want to achieve” Ketiso advises. She stresses the importance of women equipping themselves with the knowledge that comes with working in and for a mine, if you are in the know it makes being good at your job so much easier. Pockets of change can and have been witnessed within the mining industry, we see more women stepping into management positions and being awarded contracts. Some could argue that the rate of transformation within the industry has been slow but in Ketiso’s opinion the rate of transformation has been satisfactory. She elaborates, “Personally, I am seeing it happen, I’m seeing and have seen many of my fellow women contractors be awarded contracts.” It’s encouraging to see women become empowered and being entrusted with these roles, when you empower a woman, you empower and enable change in and for a whole community. Ketiso believes that this creates opportunities for other women whether they take up positions of the general worker or are at management level, we are starting to see South Africa’s commitment to creating a balanced and equal working environment where men and women feel freer. As women step up they need to remember to play their role not in a feminine way but in an effective way that benefits all. Furthermore, transformation ensures that women have other women to talk to when they encounter ‘women’s problems’. It has been found that for women in particular that when they are confronted with family issues whether it be a sick child, an illness or marital problems etc. they feel more comfortable talking to another woman about it as opposed to men. In turn this boosts their confidence and productivity. As a company Dyrex has made sure that it practices and enforces transformation at all levels opening up opportunities for others wanting to enter the mining industry and young people wanting to build experience. Ketiso shares, “I remember there was a time when we took over the employees from another contractor and there were no women at all, what we then did then as Dyrex was to employ more young women.” Today Dyrex employs about 90% of young people, the company has opened up opportunities that focus on young people because they believe that everyone needs to start somewhere to gather the experience that they need to make it in the job world. Ketiso further believes that equipping someone with a skill could see them creating jobs for others through that skill. The establishment and implementation of Black Economic Empowerment (BEE) has given black-owned companies such as Dyrex an opportunity to participate and contribute to the South African economy, without this many successful black businesses wouldn’t be operating today. BEE coupled with the support that they have received from the big companies has helped Dyrex create a bright future in the mining industry and with a strong leader such as Ketiso who has a firm belief and clear business vision Dyrex is destined to fly high. “My business vision for Dyrex is very big I want us to not only grow into the African continent, but I want us to go international,” says Ketiso. Referring to the Mining Charter 3 that was recently released from what Ketiso has read she feels that what has been drafted in the charter is fair and paints a productive and fruitful future for South African mining companies she is confident that 2025 will be an even bigger and better year for all. When asked to share some interesting fact about one specific area that Dyrex works in Ketiso chooses to describe the process of sealing a surface borehole. Before mining a surface, borehole is created to as a connection between the surface and the mining area, these are known as refuge bays. Once the mining process is complete the surface borehole needs to be sealed and closed off. At times one can find challenges when it comes to sealing this some of these can are the location where the borehole is located can be a challenge because it affects your source of power however one can use a generator to get power if there are rocks drilling could also be difficult and lastly water can also be a challenge.